Hot on the heels of the release of their Napalm Records debut “Constellation of the Black Light,” Wolfheart are out on their first ever North American tour. This expansive run sees the band supporting Carach Angren and Mors Principum Est. The tour stops tonight in Ottawa, ON and runs through October 28thin New York, NY. A complete list of dates can be found below. Wolfheart are the masters of manifesting atmospheres fueled on sorrow, darkness and pure overwhelming intensity; and that paired with the sheer brutality of melodic death metal, provides a punch packed with a lot of firepower waiting burn. Crushingly heavy and quietly introspective, its wintry mood heightened by orchestral flourishes and a sweeping sense of icy melancholia, Constellation of the Black Light not only succeeds in being a worthy follow-up to Tyhjyys, but leaves the listener already anticipating the next chapter in the band’s snow-capped story. Wolfheart winds down the light and dark path of melody and metal into a poly-chromatic weave of the lyrical black arts. 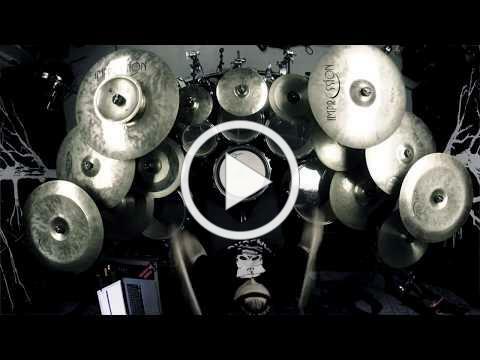 In additional Wolfheart news, the band has released a drum playthrough video for the song “Breakwater.” Watch as drummer Joonas Kauppinen pounds his way through the track HERE. 10/18: Austin, TX @ Come and Take It Live!